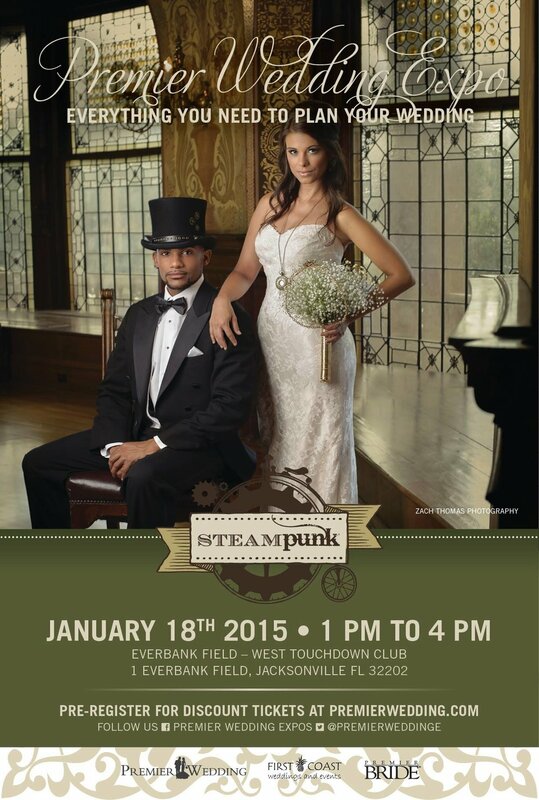 Premier Wedding Expo Bridal Show This Sunday! The event runs from 1:00 pm to 4:00 pm at the Renaissance Resort at World Golf Village. Tickets are $10 at the door, but if you purchase the online in advance they are only $7! Be sure to visit the show's website, www.PremierWedding.com, to learn more. The event runs from 1:00 pm to 4:00 pm at the EverBank Field West Touchdown Club. Tickets are $10 at the door, but if you purchase the online in advance they are only $7! Be sure to visit the show's website, www.PremierWedding.com, to learn more. The event runs from 1:00 pm to 4:00 pm at the Renaissance Resort at World Golf Village. Tickets are $10 at the door, but if you purchase the online in advance they are only $7! Be sure to visit the show's website, www.PremierWeddingExpo.com, to learn more. 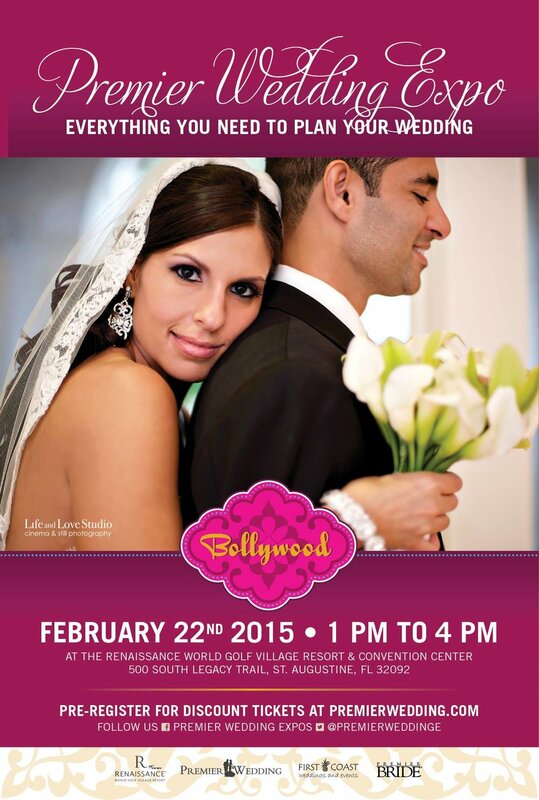 Premier Wedding Expo Bridal Show - This Sunday! Pre-register if you can. Often, there will be a discounted admission if you register online, plus you can skip the hassle when you arrive. Registering will qualify you for some awesome prizes at the show! Have pre-printed labels with your name, address, email, phone number, and wedding date. Bring your schedule (calendar, Blackberry, iPhone) with you - you may want to schedule meetings with vendors right away! Don't be afraid to ask questions! The pros you meet do weddings all the time, but they know that you're a novice. There are no dumb questions. Wear comfortable shoes. You will do quite a bit of walking and be on your feet for 2-3 hours. Grooms can have fun too! Most shows have a wide variety of food and cakes to sample. Did you say you'd like FREE tickets to the Ultimate Bridal Fantasy at Sawgrass Marriott Golf Resort & Spa? Swing by The Wedding Party during normal business hours (10:00 am to 6:00 pm) to pick up a pair! It's here: Bridal Show Season. If you are newly engaged, bridal shows can be a great way to start your planning! Not only can you see great new ideas and hot trends, you can meet with 80-100 wedding professionals in one location. There are two major bridal shows in North Florida this month, and a FABULOUS show in February. Okay, I'm a little biased, because I co-produce the February show! Don't be afraid to ask questions! The pros you meet do weddings all the time, but they know that this is you're a novice. There are no dumb questions. The Wedding Party will be at the Ultimate Bridal Fantasy on Sunday, January 17th and at Jacksonville Bridal Connection on Sunday, February 21st. Drop by for complimentary tickets to both show! Visit Us At The Bridal Show Sunday! Did you have a chance to visit The Wedding Party's booth at the bridal show on August 31? If not, here is a short highlight reel compliments of In Motion Video Productions! Be sure to visit us this Sunday from 1:00 to 4:00 pm at the UNF University Center! Need more info? Check out http://www.jacksonvillebridalconnection.com. Be sure to join us at Jacksonville Bridal Connection's Spring Bridal Show this Sunday at the UNF University Center! 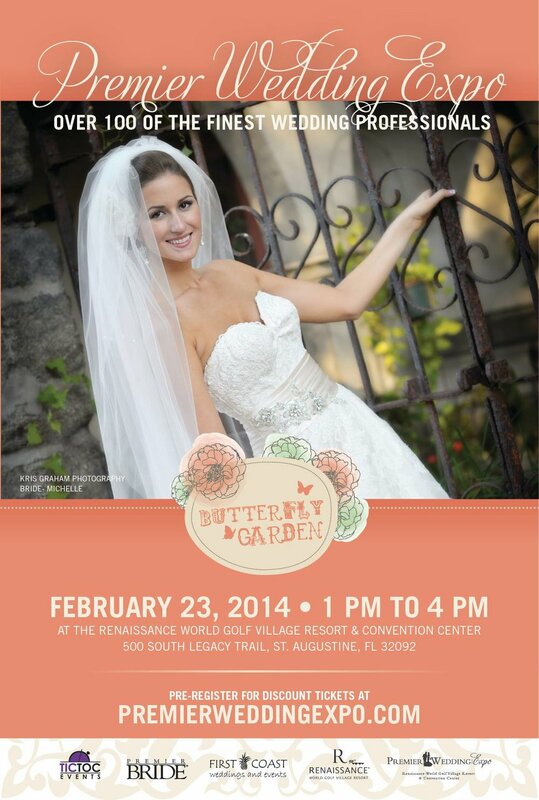 The show runs from 1:00 to 4:00 pm, and more info is available at http://www.jacksonvillebridalconnection.com! WANT FREE TICKETS? Leave a comment here! Today is Northeast Florida's first bridal show of 2009! Head to the Renaissance Resort at the World Golf Village to find everything you need for your wedding. The show runs from 1:00 pm to 5:00 pm today, and admission is only $10. This Sunday, September 7th, we will giving away a great prize to the first bride or groom that comes to our booth and mentions this post! FREE WEDDING WEBSITE FOR 6 MONTHS from Wedding Window! 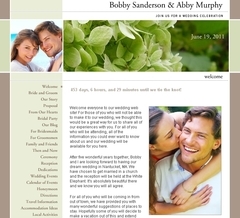 Wedding Window offers the best customization and easiest setup of all the sites we have previewed. This $59 value goes to the first bride or groom that comes to our booth (look for us with The Wedding Party) and mentions this post! How much easier could that be?! Be sure to visit First Coast Weddings and Events in The Wedding Party booth at the Jacksonville Bridal Connection bridal show! We'll have great give-aways, yummy treats and lots of fun! You won't want to miss it! If you would like free tickets to the show, give us a call at 904-739-8003 before Thursday, September 4th.